Hyannis is one of seven villages of Barnstable. 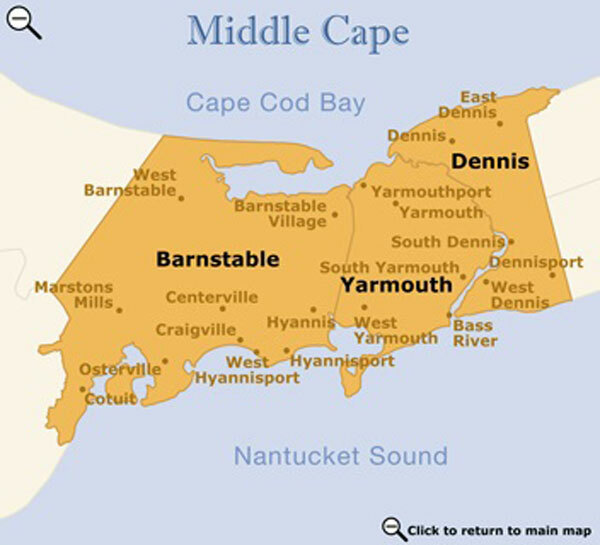 It is located in the middle of the Cape, 40 miles from Plymouth and 50 miles from Provincetown. As the Cape's largest town, Hyannis has the largest concentration of businesses, shops, restaurants, and entertainment on the Cape. It is also home to the Cape's busiest airport. Hyannis Harbor offers fishing and sailing charters, as well as ferries to the islands of Nantucket and Martha's Vineyard. Located nearby is the John F. Kennedy Museum, which explores JFK's Cape years (1934-1963). 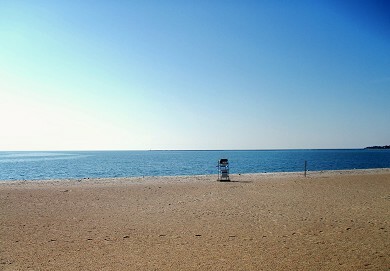 Hyannis Port is the site of the Kennedy Compound, the summer home of the Kennedys. Another attraction is the Cape Cod Melody Tent, which features stars such as Tony Bennett, Aretha Franklin, and Julio Iglesias. In August, the Boston Pops Esplanade Orchestra performs an outdoor concert on the Village Green.